Home | Alexco Resource Corp.
Alexco is a primary silver company and provides an exceptional opportunity to investors looking for exposure and leverage to silver. Sequential production from the four deposits within the 2017 Preliminary Economic Assessment comprise a 400 tonne per day life-of-mine production stream totaling 1,021,000 tonnes with an average grade of 843 g/t silver (27 oz/t), 3.31% lead and 4.2% zinc. Alexco is focused on moving the district back towards a final production decision and operations start-up before the end of 2019 by completing a pre-feasibility study, followed by a decision to complete underground development of the Flame & Moth deposit along with recommissioning of the mill and surface infrastructure. Over the last ten years Alexco has maintained a strong and systematic exploration ethic at Keno Hill and has been rewarded with discovery and documentation of 68 million ounces of silver in indicated resources and a further 18 million ounces in inferred resources. 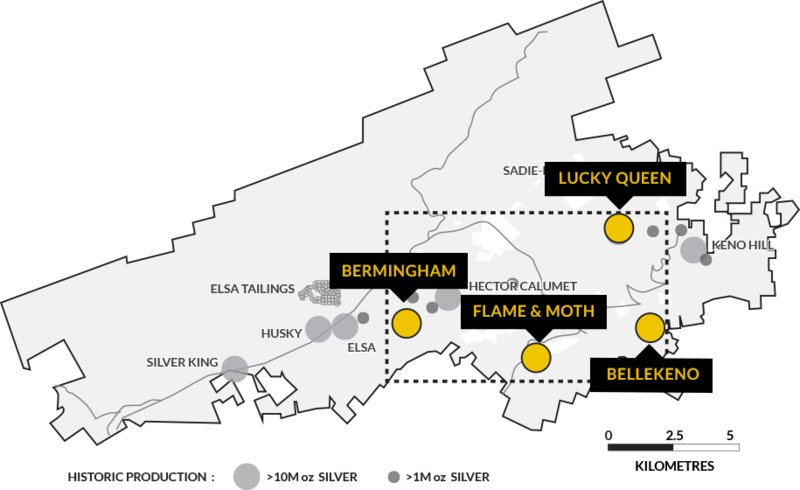 Notably, in the last three years Alexco geologists have added more than 20 million ounces of indicated silver at an average grade of 800 g/t (26 oz/t) to our resource base, primarily related to the discovery of the Flame & Moth and Bermingham deposits. Alexco is a proven explorer, developer and mine operator with assets in a tier one jurisdiction - Canada. Our culture and values drive us to achieve excellence in all that we do, and to support communities and organizations in the areas in which we work. 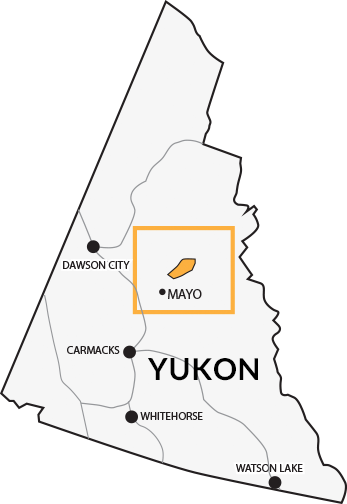 The continuing discoveries of some of the largest deposits ever in the District reaffirm the prolific and prospective nature of Keno Hill.